When a student enrolls at the College of Natural Health, he/she will fill out admission forms. Then an advisor will be assigned to help guide the student through the enrollment process. This advisor will also make sure the student receives all necessary materials, and will answer any questions related to the chosen program of study. 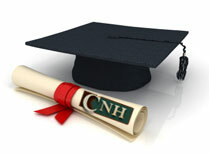 There are educational requirements for those seeking to enroll at the College of Natural Health. A high school diploma or G.E.D. is required to enroll in the Bachelor's Degree Program. Students desiring a Master's Degree Program must have completed the Bachelor's Degree Program, and those desiring the Doctorate Programs must have completed the Master's Degree Program. Upon the college's evaluation, student transfer credits from another school may be accepted on an individual basis. All lessons will require reading material, and some also require videos. Study of the material will be followed by short Self-Help Quizzes. Progress Tests will be followed by Final Examinations. There are no time limits for completing courses. The student will be allowed to go at his or her own pace, which is one of the great benefits of distance learning through correspondence. After the student completes the courses with a satisfactory grade and pays the full tuition for the courses taken, a degree will be issued and mailed to the student no later than four to six weeks. All student records are confidential, except general information under the "Family Educational Rights and Privacy Act." If a student does not want any information released, he or she must file a written notice stating those wishes. Students have rights to access their records. All diplomas with the seal of the College of Natural Health will be sent, once all financial and academic obligations have been met. The College of Natural Health issues grades based on a G.P.A. system (grade point average system). A 4.0 G.P.A. is the highest level, while 0.0 is the lowest level. A level of 2.0 must be achieved for the undergraduate and certificate Programs, while a 3.0 must be achieved for the graduate Programs. All grading reports will be sent after all financial and academic obligations have been met. Upon written requests and provided all academic and financial obligations have been met, College of Natural Health students may request their transcripts to be sent to other schools or employers. Enroll at the College of Natural Health. All credit and degree transfers will be determined on an individual basis. Credited courses will depend, therefore, on our evaluation of comparable courses completed. All transcripts requested by the college will be released and sent directly to the college for approval and recognition. Transferring credits and degrees attained at the college to another college or institution is at the discretion of the accepting institution, college, or university; and it is the student’s responsibility to confirm whether credits will be accepted. All credit and degree transfers must be submitted in writing to the college, provided that all financial responsibilities have been met and satisfied. All similar, certified courses at the college can be credited and transferred toward the B.S., M.S., and Ph.D. Programs. Credits earned in the Master's Degree Program may be transferred into the Bachelor's Degree Program only. Since there is an excess of credits, traditionally speaking, in the Master's Degree Program, the credit transfers allow students more creativity and personal preference with their electives and with the total credit requirements for the Bachelor's and Master's Degree Programs. All similar, certified courses at the college can be credited and transferred toward the B.S., M.S., and Ph.D. Programs. The College of Natural Health, as a nontraditional alternative health and holistic nutrition school, does not furnish the traditional number of credits required in traditional degree programs. Academically speaking, our course credit structure is similar to Chiropractic or Naturopathic school requirements. The courses required to complete each degree or certified program at The College of Natural Health will determine the ability to attain that particular degree or certification program. If the student desires to waive all electives to complete our Programs in less time, that is completely acceptable. Note that the elective, the Master's Dissertation in the Master's Program, can only be waived if the student intends to enroll in the Doctorate Programs. A student who meets the minimum admission requirements may qualify for equivalency credits that convert to credits that can meet the general education requirements found at most universities and colleges. These requirements may be met by work, personal life, and/or professional experiences such as the following: training seminars, military training programs, workshops, independent reading studies, curriculum studies, proficiency examinations, job training, and through other means which shall be determined by a "Profile Credit Equivalency Assessment" conducted by the College of Natural Health. Completion certificates may be requested by the college for such experiences. Verification of knowledge and material the student wishes to submit should be sent in a portfolio format for evaluation and assessment. As a global, long-distance, correspondence school, the College of Natural Health reserves the right to grant post-secondary degrees in any American state or foreign country that authorizes the school, according to its articles and by-laws, to operate as an educational organization in accordance with state and governmental laws and statutes of the aforesaid. The American states or foreign countries may vary according to location designated by the Board of Directors. Upon completion of all Degree Programs and providing all contractual obligations have been fulfilled and completed, the student will be informed as to the origin of the "degree-granting authority," according to the administrative policies, governmental laws, exemptions, state statutes, and requirements that are in place at that time. The College of Natural Health is in compliance with all requirements imposed by or pursuant to Title VI of the Civil Rights Act of 1964 and the regulations issued there under, to the end that no person in the United States, shall, on the grounds of race, color, or national origin, be excluded from participation in, be denied the benefits of, or be otherwise subjected to discrimination under any program or activity sponsored at this institution. Further, as prescribed in Section 504 of the Rehabilitation Act of 1973, this institution does not discriminate against the handicapped in admission, employment, or activities.